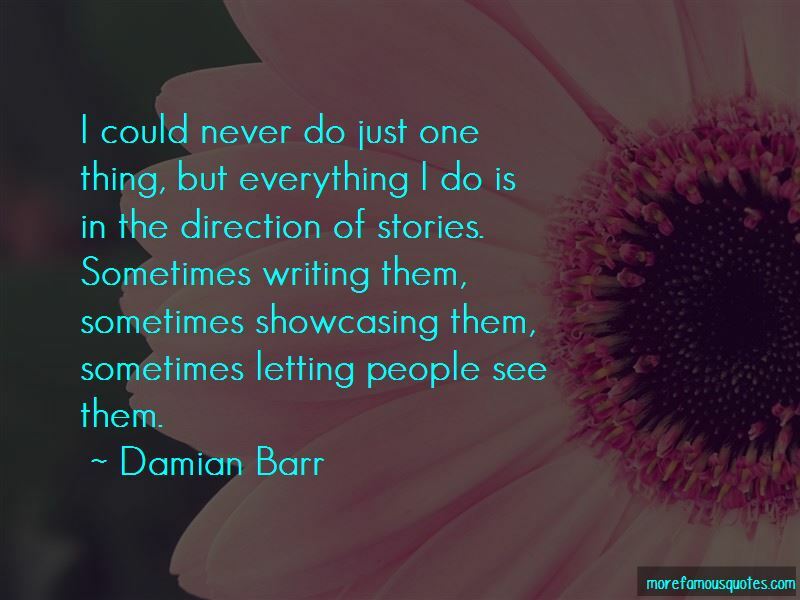 Enjoy the top 13 famous quotes, sayings and quotations by Damian Barr. I do feel a responsibility. It's a privilege to be able to speak about it, but I don't speak for all gay people. I had to do things to myself on the page that had been done to me in real life. I had to try and drown myself in the bath. You have to do that. And the impulse is to rescue yourself and to spare the reader, but I can't rescue myself. And why should I spare the reader when nobody spared me? It's telling people what happened. You don't realise how much you're holding onto until you start to let go of it. I had had loads of therapy and thought I had come to terms with who I am, but there's something in the process of writing that unlocks other experiences, other emotions and you have to be prepared for that. Want to see more pictures of Damian Barr quotes? 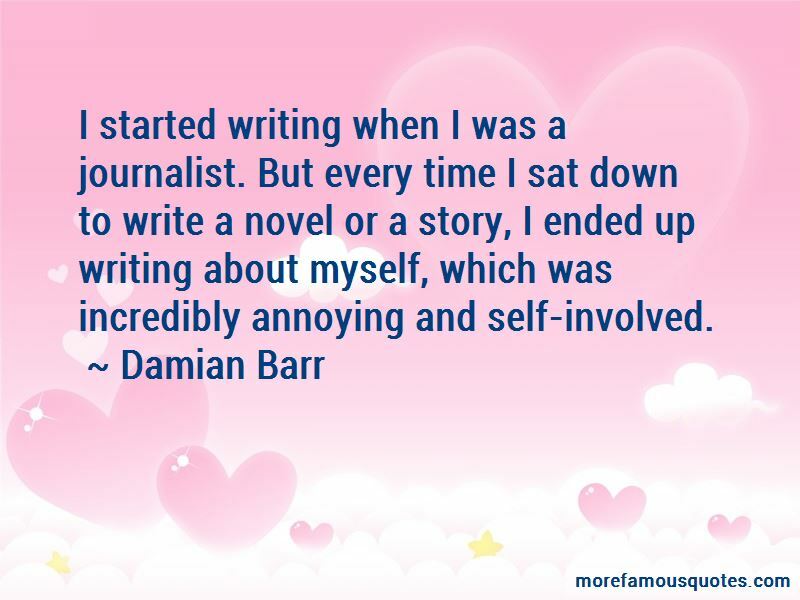 Click on image of Damian Barr quotes to view full size.